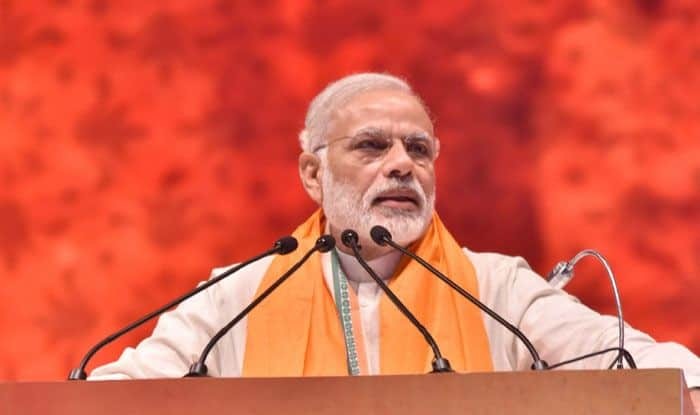 PM Modi will address rallies in Meerut in Uttar Pradesh, Rudrapur in Uttarakhand and Jammu in Jammu and Kashmir on Thursday and the next day, he would be holding public meetings in Andhra Pradesh, Odisha and Telangana. The next day, he would be holding public meetings in Andhra Pradesh, Odisha and Telangana. All the constituencies where the Prime Minister will speak are going to polls in the first phase on April 11. In Odisha and Andhra Pradesh, Assembly polls are also being held simultaneously with the Lok Sabha elections. Kickstarting his campaign for the first phase of elections, PM Modi would begin from Meerut with a meeting near Sivaya toll plaza on Dehli-Dehradun highway. In 2014 too, as the BJP’s PM candidate, he had begun his election campaign from Meerut by addressing a meeting in Shatabdinagar, said reports. SPG teams have been to the Meerut venue. Reports said six SPs from neighbouring districts, 10 additional SPs, 30 deputy SPs, 50 inspectors, 150 sub-inspectors and 900 constables, along with ten companies of PAC and RAF, will remain deployed during the meeting. A route diversion plan will be in place for the highway from 7 AM till afternoon. Then, the Prime Minister will be in Jammu city to campaign for party candidates. Sitting BJP MPs Jugal Kishore Sharma and Jitendra Singh are seeking a re-election from the Jammu and the Udhampur parliamentary constituencies respectively. The BJP’s ‘Vijayrath’ in the region will begin from this rally.